I imagine this particular entry is going to be the source of controversy for my “top 10” list. Until this point, most of my choices have been reasonable and expected. I looked at some classic stories that involved iconic creators such as Stan Lee, John Romita Sr., Gerry Conway and Steve Ditko. And now, as we enter the vaunted “top 5” portion of my list, I pick a comic that was published at a time when the Spider-verse was a hornet’s nest of poor editorial decisions and controversy. Clearly, I’ve lost my mind. 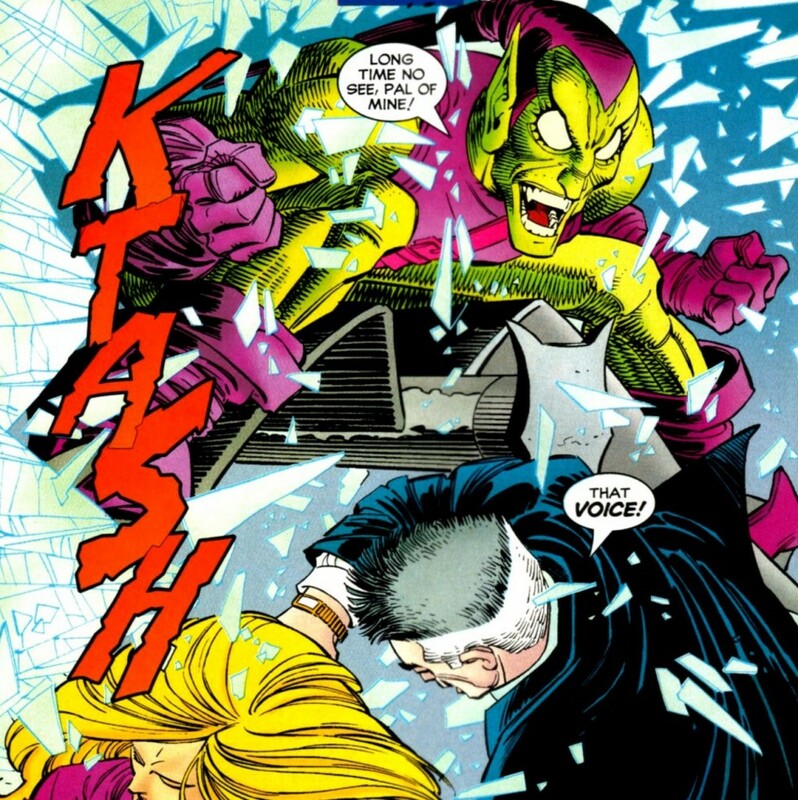 So allow me to make my case for “The Night of the Goblin,” which is technically the fourth and final chapter of the “Revelations” arc that also traversed the Amazing, Spectacular and Sensational Spider-Man series. Beyond the issue being the highlight of Howard Mackie’s very long-tenure scripting various Spider-Man comics, it’s arguably the 1990s most significant Spider-Man story. In this one issue, we mark the first full reappearance of Norman Osborn and the Green Goblin 20 years after he was presumed dead at the end of ASM #122; the “official” end of the “Clone Saga,” the long-running and now reviled storyline that lasted more than two years; the death of Peter’s clone, Ben Reilly (and the reveal that Ben was indeed the clone); and the confirmed disappearance (and presumed death) of Peter and Mary Jane’s baby, May. More succinctly, after more than two years of screwing around with the Spider-Man status quo, “The Night of the Goblin,” was the big fat push of the reset button the character desperately needed for a long time. And while it still took some time afterwards for the Spider-verse to finds its footing (in my humble opinion, close to five years when J. Michael Strazcynski joined the book), it was critical for Marvel to finally move on from the meandering follies of the “Clone Saga” and tell some new stories. In terms of the Green Goblin’s relevance in this comic (this is a top 10 list centered around the Goblin after all), Norman’s return in “Revelations” kicks off the second phase of the Spider-Man/Goblin dynamic. While it is certainly debatable whether or not Marvel should have ever resurrected Norman after he died in one of the industry’s true watershed moments, what cannot be denied is all of the fantastic Spider-Man/Green Goblin stories that followed Osborn’s return. 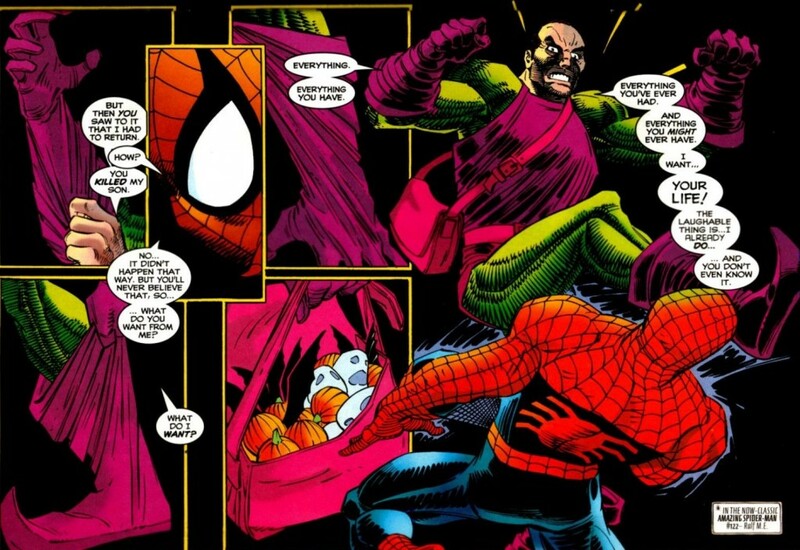 At the time “The Night of the Goblin” was published in 1996, the Green Goblin was already considered Spider-Man greatest adversary. Once you add storylines like “Revelations,” “The Revenge of the Green Goblin” and “Death in the Family,” to the mix, how could there be any more debate about who is Spidey’s arch-nemesis? 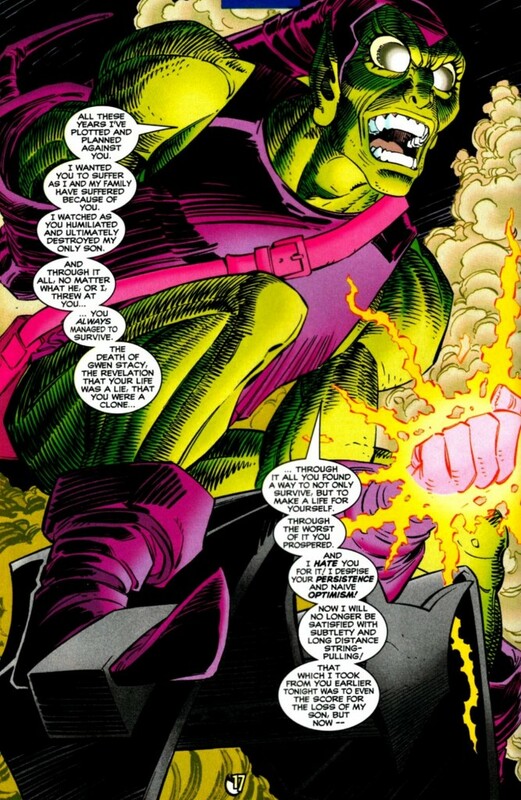 Additionally, bringing Norman back, allowed him to play in the larger sandbox of the Marvel Universe, causing problems for supergroups like the Avengers, during his stints with the Thunderbolts, H.A.M.M.E.R. etc. Again, it all comes down to a matter of personal taste about those stories, but at least Marvel didn’t bring Norman back from the dead after nearly 25 years just to rehash the same old Green Goblin storylines. Meanwhile, Mackie delivers precisely what’s needed for this comic. Peter Parker Spider-Man #75 has such a surreal, nightmarish quality to it that it still makes my pulse start pounding upon flipping through it years later. The stressfulness of this story is only enhanced by the fact that readers were (or should have been) so blind-sided by the return of Norman at the end of ASM #418. When Peter is drugged and upon awakening looks up to see Norman standing above him the shock and disbelieve he experiences is so palatable it leaps off the page (also thanks to John Romita Jr.’s pencils, of course). Watching Norman rip open his shirt to reveal the scar from the Goblin that impaled him years earlier, may be one of the most terrifying images in Spider-Man history. Then, as Spidey watches Norman put on his old green and purple costume while telling the story about his years hiding out in Europe, and how his son Harry took over the family business of tormenting Spider-Man, the inevitability of what has just transpired starts to sink in for both Peter and readers. Comic books are a medium where hackneyed, clichéd expressions like “anything can happen” are often applied. And yet, the reality that Norman Osborn is back in Spider-Man’s life, and how he has been secretly pulling the strings on all of the things that have gone wrong for him over the past few years, is just so emotionally overwhelming, I can’t help but revert back to the eternally optimistic fanboy, willing to buy into anything Marvel’s carnival barkers are selling me. Yes, the Green Goblin’s plan of blowing up the Daily Bugle building and making Spider-Man watch and suffer through it all is incredibly zany and overindulgent, even for a character as egomaniacal as Norman. But it does nicely set-up the final conflict between Norman and Spider-Man. In this issue, Norman has his own revelation – that no matter how far he abuses and tortures Peter, he always rises to the occasion to play the hero (a lesson that stands to be prescient as Superior Spider-Man marches to its conclusion next month). There’s one scene in this comic I know we’ve seen before from Spider-Man – down on one knee after taking a beating, but still coming back for more as his opponent looks on in shock and disbelief. And yet, watching Spider-Man overcome these odds even when the deck is so solidly stacked against him, is really one of the main reasons I’ve been a fan of comics for so long. Additionally, the showdown with Norman at the Daily Bugle allows Peter’s clone, Ben, one last moment of heroism and sacrifice. In a moment of obvious symmetry, Ben is impaled by the Goblin’s glider while disarming a bunch of pumpkin bombs on the roof of the Bugle. As Peter holds Ben’s battered body, his “brother” tells Peter to take care of May and tell them about her “Uncle Ben.” It’s a blatant tug on the heartstrings, but an effective one all the same. 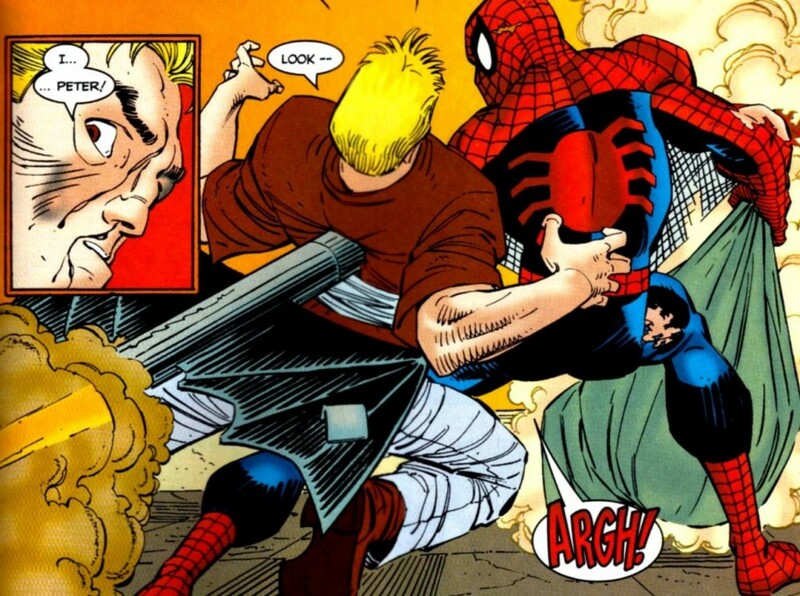 People can talk about how overlong or relentless the “Clone Saga” was all they want, but I’ve never been under the impression that people despise it for the way Ben was characterized. It’s not Ben Reilly’s fault that the damn thing went on for nearly 50 issues worth of comics (or was it even more than that?). Mackie gives Ben the ending he deserves, before he disintegrates, proving once and for all that he isn’t the real Peter Parker. And in a rare show of restraint, Marvel has never resurrected Ben (former Spider-book editor Stephen Wacker even said that Ben would never be revived under his watch). The comic ends with a view of Peter and MJ’s backsides, as the two look out at the Brooklyn Bridge (the site where Gwen Stacy died for those playing the home game) and reflect on all that they have just lost thanks to the Green Goblin. It’s a poignant scene that I wish, in retrospect, had more time to develop in terms of how its inserted in this comic, since I don’t think the full emotional impact of it can be felt when “The Night of the Goblin” is read without the context of all of the stories that came before and immediately after. In effect, Marvel pulls the plug on the “Clone Saga” here. It’s an abrupt ending, to a storyline that no one had the nerves, desires or convictions to end sooner. But the power of hindsight has allowed me to forgive the staccato nature of the scene. “The Night of the Goblin” gives credence to the idea that a story doesn’t have to be a painstakingly crafted work of art in order for it to be grossly entertaining. As I mentioned earlier, I expect some of you will challenge me on placing it so high, and to that I say, “because it’s my list, that’s why!” But more importantly, I just can’t get past how this comic physically affects me. If a comic book can succeed at making your heart race and giving you a pit in the bottom of your stomach, that’s got to be something worth acknowledging. 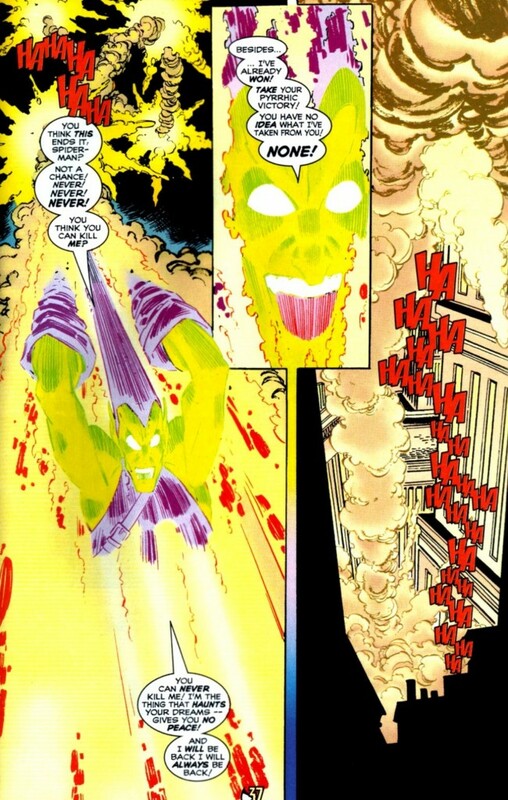 Check in next week for the next entry in my “Top 10 Green Goblin Storylines” list. I can’t understate how much this comic rocked my world when it was first released. 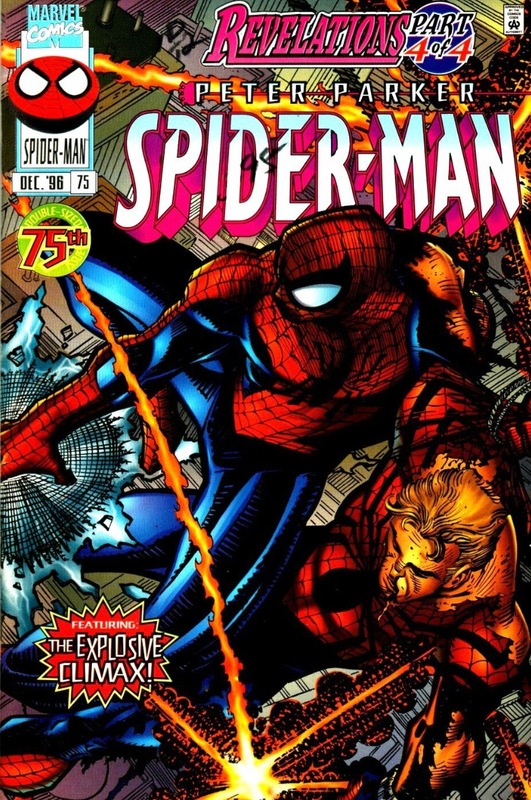 I’d started reading in the last third of the Clone Saga, so seeing how the “epic” turned out was a big deal at the time. Although in later years I’ve become more ambivalent towards whether or not Norman should have been resurrected, I don’t think you can argue that his return in 1996 gave the books a dramatic shot in the arm. Something that isn’t often mentioned in regards to Norm’s resurrection is how thoroughly gutted Spidey’s rogues gallery was at the time. Doc Ock, Kraven, and the original Hobgoblin were dead, their roles taken over by less-intimidating replacements. Venom was off lethally protecting, Kingpin had been stolen by Daredevil, and everyone was friggin’ sick of the Jackal. In retrospect, many of the storytelling decisions that created this state of affairs were…questionable, and two wrongs certainly don’t make a right. But at that moment, there wasn’t anyone else who brought that level of terror and dread to Spidey’s world, and there hadn’t been for several years. Young Me was totally on-board. I remember reading this comic with relief, so glad that the whole mess was finally wrapped up. I wasn’t happy that they had resurrected Norman Osborn, but I understood why they made the decision. Mark, I’m wondering if you remember your experience at the time: was the revelation an actual surprise? Was it a legitimately shocking moment, or did you kinda know it was coming? For the life of me I can’t remember if I found this very significant twist as a genuine surprise. Full disclosure: I gave up on Spider-Man (and comics overall) about a year or so before this when Spider-Man passed the mantel to Ben. Was just fed up with how long-winded the Clone Saga had been. When I got back into comics a few years later and saw Norman was back, it was a total WTF moment for me. I was resistant initially, and still feel weird about, but this comic, as you both mention was a legitimate shock that Marvel has successfully paid off in other ways. I knew this one would make your list, so I wasn’t that surprised. I’m not sure it’s better than some of the others so you may want to rank them 1-10 when you’re done. This one was a breath of fresh air after 5 years of clone mayhem, even if it brought the goblin back. Plus, yes, that has paid off in the long run. The final four stories that will show up on my list over the next few weeks are unquestionably my four favorite Green Goblin/Spider-Man stories. There’s no way I’ll reconsider that. 10-5 on the other hand are a flexible list that probably was determined by the mood I was in when I was putting this list together. I ultimately feel good with “Night of the Goblin” being #5 since it was so significant to the last 20 years of Spider-Man that it makes up for any hokiness/plotholes from Mackie’s script. I’ll buy into that Mark. Romita Jr. nailed it with the art too. This comics has been my personal white whale for me. I have been searching for it for years at many shops and conventions, but I never can find it. I still want it for that Romita Jr. art. I wish his current style was still that refined looking.